Less than eight years after its maiden launch, the Falcon 9 booster has become the most dominant rocket in the world. Modern and efficient, no rocket launched more than the 70m Falcon 9 booster launched last year. Barring catastrophe, no rocket seems likely to launch more this year. In part, SpaceX has achieved this level of efficiency by bringing a Silicon Valley mindset to the aerospace industry. The company seeks to disrupt, take chances, and, like so many relentless start-up companies, drive employees to work long hours to meet demanding engineering goals. 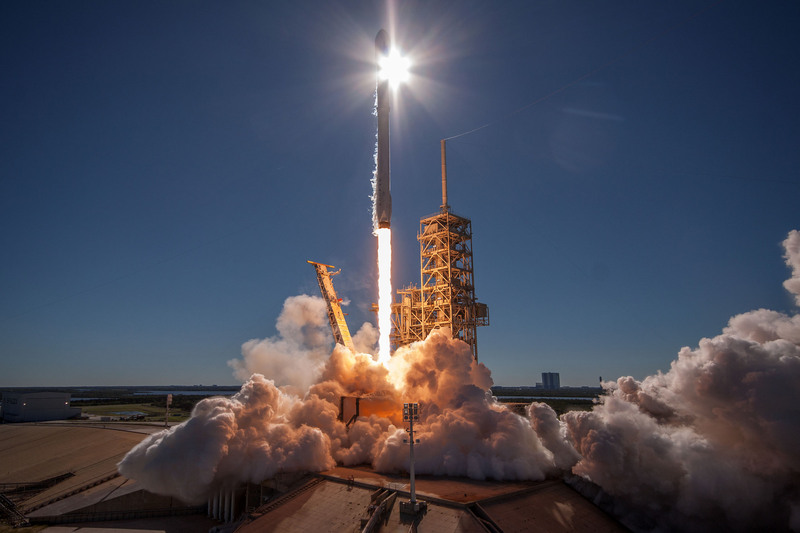 While founder Elon Musks ambitions to settle Mars get most of the publics attention, the companys workhorse Falcon 9 rocket, which never leaves Earth orbit, is the reason SpaceX has soared to date. And on this vehicle, Musks company has imprinted its ethos of disruption and innovation by seeking every opportunity to improve the rocket. Although this has caused headaches for customers like NASA and some suppliers, constant tinkering has allowed SpaceX to maximize performance of this rocket. By regularly upgrading the Merlin engines, shedding weight with lighter materials, and using super-chilled rocket fuel to maximize density, the Falcon 9 rocket now is about twice as powerful as it was during its initial flight. Rarely during its more than 50 launches since June 2010 has a Falcon 9 rocket not had a handful or more changes from the previous edition. All the while, SpaceX has had a singular goal for the Falcon 9 rocket: to build the most perfect and efficient orbital rocket it could. Now, finally, the company seems close to taking a final step toward that goal by closing the loop on first-stage reusability. As soon as next Monday, but more likely a bit later this month, SpaceX intends to launch the “Block 5” variant of the Falcon 9 rocket for the first time. Musk has said this fifth revision of the Falcon 9 should mark the final major change for the booster. The company has a lot riding on the revamped booster. SpaceX intends to fly each Block 5 first stage it builds a minimum of 10 times and—depending on your willingness to accept Musks enthusiastic outlook—perhaps many more. Ten flights would be hugely significant, as SpaceX has thus far only ever reused each of its Falcon 9 rockets a single time. Additionally, the company hopes to reduce the turnaround time between launches of a Falcon 9 booster, now several months, to a matter of weeks. Achieving such a nirvana of low-cost, rapid access to space would represent a tremendous feat for SpaceX. For a company that aspires to one day land humans on Mars, this is the essential first step. Moreover, by freezing the design of the Falcon 9 rocket, SpaceX can free up its engineering talent to focus on the “Big Falcon Rocket” and its upper stage spaceship. And by flying each Block 5 booster multiple times, it can release its skilled workers to assemble that much, much larger booster. The upcoming launch of the Block 5 rocket, therefore, marks the end of the beginning for SpaceX. To find a Falcon 9 launch of comparable magnitude to the forthcoming Block 5 launch, one probably has to go back to December 2015. The stakes were incredibly high then, too. Six months before, in June, SpaceX had suffered the first failure of the Falcon 9 booster, a catastrophic break-up of the second stage at about 150 seconds into the flight. The Dragon spacecraft ascending into space, laden with NASA cargo valued at more than $100 million, was lost. SpaceX spent nearly half a year assessing and fixing the problem before returning to the launch pad. For that December flight, SpaceX double-downed on its philosophy of taking risks. The Falcon 9 booster standing at the pad three days before Christmas was the first one using a much more powerful variant of the rocket, known as the Falcon 9 Full Thrust, or Block 3. This ambitious booster had about 30 percent more capability than its predecessor, with more powerful engines and slightly larger tanks that accommodated super-cooled liquid oxygen and highly refined kerosene. Other modifications included upgraded grid fins to steer the rocket on its return through Earths atmosphere and landing legs. But with this return to flight mission, it was not enough to debut an entirely revamped rocket. For the first time, SpaceX would also attempt to return a booster to Earth for a vertical landing along the Florida coast. Always be innovating, pushing. Later that night, after the successful flight and landing, Musk held a teleconference with reporters. Ars asked Musk how confident he had been in success of the mission, both launching the new booster and sticking the landing. "I wasn't at all confident that we would succeed, but I'm really glad of it," he replied. "It's been 13 years since SpaceX was started. We've had a lot of close calls. I think people here are overjoyed." Musk has since told confidants that it was this Block 3 version of the Falcon 9 rocket that put SpaceX on top of the commercial satellite launch competition, elbowing out Russia, China, and Europes state-run rocket companies for a lot of this business. The more powerful Block 3 rocket also allowed SpaceX to begin launching heavier payloads for the US military. With Block 3, Musk felt as though he had the best rocket in the world. Ben seemed nothing but on the up after completing rehab (Picture: Backgrid) Ben Affleck looks like h..
Google's plans to re-enter China with a search engine are at an "exploratory" stage, Google&#03..